The examination of unstructured data to gain insight into the nuances of people's lives operates at the fringes of privacy safeguards, and it's all too easy for brands to step over the line from what's acceptable when targeting consumers to being downright creepy. Every image posted on social media, each line in a tweet and any footstep in a shop could be analysed, pieced together and used for advertising. Before long, "consent" could become an outdated idea when it comes to safeguarding consumer privacy. Already, machine-learning algorithms and AI-powered solutions are capable of reading micro-nuances into every online action and extrapolating entire profiles that will determine how a brand targets a consumer. This is dark analytics, which Deloitte defines as: "Explorations of the vast universe of unstructured and ‘dark’ data with the goal of unearthing the kind of highly nuanced business, customer and operational insights that structured data assets currently in their possession may not reveal." Examples of dark analytics at work range from the benign to the sinister. At the lighter end of the scale is consumer-volunteered analysis of social-media feeds for campaigns such as Knorr’s recent "Eat your feed" by AnalogFolk (see box). Another example is Ocado’s use of natural language processing to analyse customer emails to sense mood and tone, performing a triage to assist customer-service agents. Then there’s the "light grey" end. Facebook digital marketing AI Albert creates micro-segments of its clients’ customers based on "micro-patterns" – the language used, images posted and tenor of social-media posts it finds. Hoxton Analytics tracks shoes in public areas, inferring age, gender and social economic status from this non-personal data. "Without a regulatory framework, the guiding light for brands is to not be creepy"
"Even with GDPR bringing much-needed clarity and control to commercial use of personal data, there is so much that is still in the grey (and light) zone," Dino Burbidge, director of technology and innovation at WCRS, says. The technology works by "clustering" people, he continues. "By gathering so much data, you start to notice that there are 200 people, and they all do this one thing. What else do they have in common? It gets interesting because you can learn things you didn’t know about human behaviour." But this opens up a new can of worms in terms of how people will behave online. "We’re just not geared for a world in which every action online could potentially have one brand or another target you 10% more," Burbidge says. Without a regulatory framework, the guiding light for brands is to not be creepy. 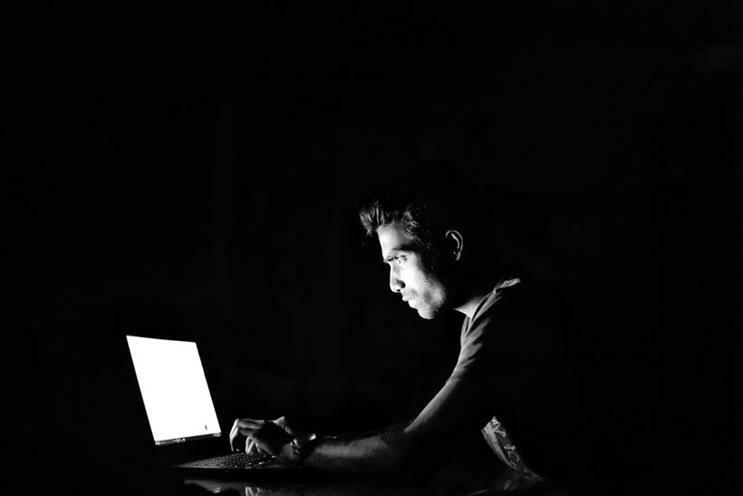 "True sentiment analysis does fall into ‘creepy’," Miguel Alvarez, director of technology services at AnalogFolk, says. "It would need to read the images you post, find faces and read how they’re feeling and analyse all the text." A working rule of thumb would be to ask whether the planned use is something that could be done with enough manpower and time, but it’s all just sped up by machines, Burbidge says. 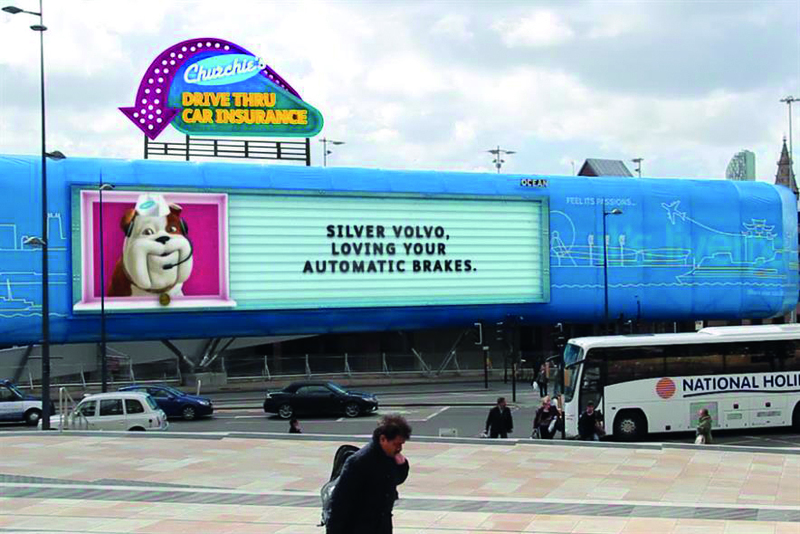 "We did an outdoor campaign for Churchill Insurance that used AI to identify and call out to cars by make and colour. It’s what a human being standing on the street corner could do. Now, if we scanned the licence plate and checked their insurance status and outed it on a billboard – that would be creepy." 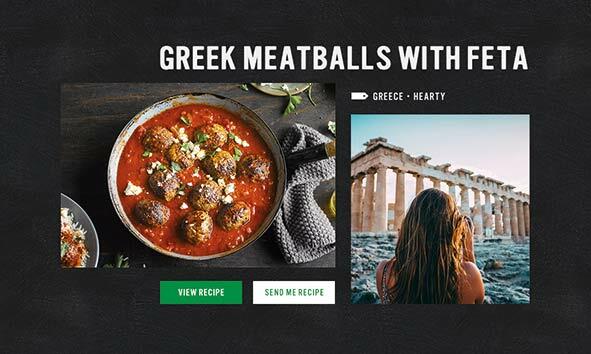 Knorr and AnalogFolk created a tool that analysed Instagram feeds to serve up recipes based on experiences. It scraped data such as time, geolocation and captions, and used the IBM Watson Visual Recognition service to identify scenes and objects in the picture. "Churchie’s Drive-Thru Car Insurance" used Ocean’s vehicle-recognition technology to allow "Churchie" to serve passing drivers with cheeky, personalised messages about their cars, as if from a retro American drive-through diner’s serving hatch. 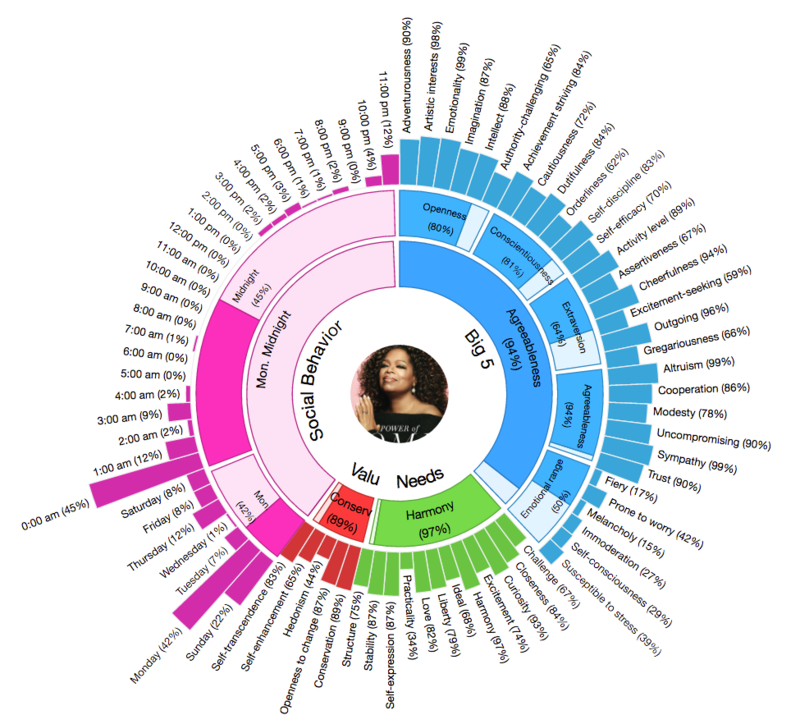 Since 2015, IBM has offered a free "personality insights" demo that invites users to submit text, from which it will identify traits such as emotion range, how much the writer likes helping others or the music they like. While not that useful, it is feeding Watson data, so it will get better.